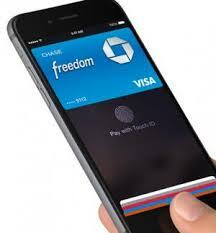 Is Apple a FinTech company? Will Apple ever launch a bank? 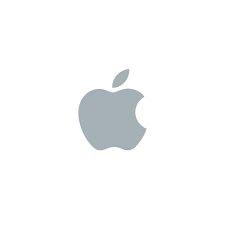 It’s an intriguing idea – Apple is rightly admired for delivering something magic to its customers through its products simplicity, usability and design. When was the last time you used those words to describe your bank? But, while others have speculated on the the idea of an Apple Bank (glance at this 2013 article to see a few predictions that came true), I heard a convincing story in 2014 that made me confident that Apple will not be launching a bank. Deborah Hopkins, CEO of CitiVentures and Chief Innovation Officer for Citi, addressed a group of us from a NewCo event at CitiVentures’ offices in Palo Alto in Oct. of 2014. She told us how she had proposed, several years earlier, to create ‘white label’ bank for Apple, where Citi would provide all the back-end services, but the bank would be branded as Apple. Pretty interesting. I worked as a consultant in retail banking, consumer credit and target marketing in the UK after getting my MBA from London Business School – and ended up getting a lot of experience with affiliate marketing. I think that private label bank operations, where clients receive banking services from a brand that is not a bank, e.g. an airline, retailer, or even technology company (such as Apple) is that they can work, but only under very specific circumstances. It has worked in the UK, where banks are often held in such low esteem that alternatives, like Tesco Bank (owned by a grocery chain) do well. But other popular brands – that are arguably similar to Apple – such as Virgin, launched services like Virgin Money, only to see them struggle to make them successful. I don’t think the strategy makes sense for Apple. 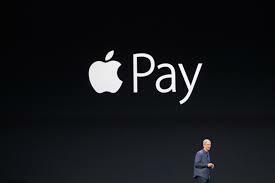 But not being a bank doesn’t mean Apple isn’t a FinTech company, especially given ApplePay. I think that’s pretty significant, even if a debate on Apple Pay continues: One of the better articles on Apple Pay came from Forbes, though you can easily find articles similar to what Re/code published, which take the opposite view. Like the debate over iOS vs. Android, I am already getting a little tired of the current debate since its too early and key metrics aren’t available, so won’t continue the debate any further here. But I predict that it will be successful. One key take away from the podcast is the importance of Apple Pay to online purchases, while the media tends to focus on its use in everyday shopping. It’s also worth reading the TechCrunch article on Apple Pay’s use in self-service situations, such as vending machines, taxis and the like (all good use cases). 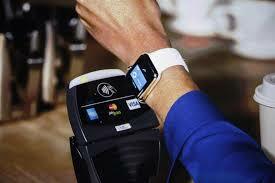 And if you don’t have an iPhone 6, with Apple Watch you’ll be able to use Apple Pay, since it works with Apple 5 models. I won’t to go into the chatter that’s arisen on other mobile wallets, e.g. rumors of Samsung Pay, ongoing drama over MCX and CurrentC, or the rumor of Google potentially buying the other player in NFC, Softcard. (I’m 100% in agreement with Pete Casella, who invests in FinTech at JP Morgan Chase, who noted mobile payments seem like a potential duopoly in the US – and sees it as a crowded category for startups in the US and UK). Is Apple is a FinTech business? To me, yes – it provides financial services technology that is relevant and making a difference – even if it’s not yet a core part of its business, and may never be one (Apple makes just 15 cents on each $100 spent using Apple Pay): It’s driving innovation in financial services through technology. For all that it’s done for customers, its record success in its most recent quarter – and for being partnered with some of the best FinTech innovators, like Stripe, I’m incredibly excited about what Apple could do next in financial services. I think we should follow Apple’s example by doing amazing things – as as they did in bringing security, convenience and “magic” to payments – elsewhere within financial services … and delivering from initial conception to roll out at rapid speed (based on conversations I’ve had with someone at a bank involved in launch, who said it was unlike anything they’d seen). Innovation and speed-to-market should drive all of us in the world of FinTech – whether you’re a bank, investor or a startup. Posted on January 29, 2015 February 5, 2015 by Michael Halloran	This entry was posted in Uncategorized and tagged Apple Pay, Apple Watch. Bookmark the permalink.